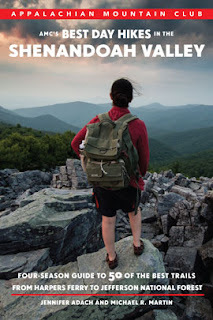 Bounded on the east by the Blue Ridge Mountains and on the west by the Appalachians, the Shenandoah Valley is a region of exceptional natural beauty and some truly incredible day hiking. Get fired up for a trek into the Shenandoah wilds with the brand-new guidebook, AMC’s Best Day Hikes in the Shenandoah Valley: Four-Season Guide to 50 of the Best Trails from Harpers Ferry to Jefferson National Forest. Bearing evocative names such as Raven Rocks and Sky Meadows, Riprap Hollow and Devil’s Marbleyard, the 50 hikes included in this book range from easy saunters of a few miles to challenging treks through rugged terrain. They cover the length of the Shenandoah Valley, from Harpers Ferry south through Shenandoah National Park all the way to Jefferson National Forest. Learn more about AMC’s Best Day Hikes in the Shenandoah Valley here. Order your copy of AMC’s Best Day Hikes in the Shenandoah Valley here.